As described in our previous blog article on the subject, the Australian Rope Access Association (ARAA) has entered an arrangement with the Society of Professional Rope Access Technicians (SPRAT) to allow dual recognition between the two codes. 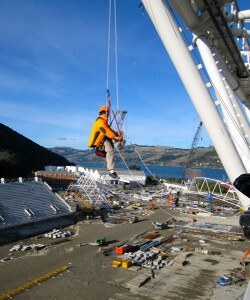 SPRAT was established in the mid 1990s to address the needs of a growing number of companies and operators employing rope access techniques in North America. Without specific standards and legislation in North America to support rope access systems, companies and operators were at times prevented from working. SPRAT’s development of industry consensus standards, including Safe Practices for Rope Access Work and Certification Requirements for Rope Access Work, has raised the awareness of the safety and effectiveness of rope access systems. Since 2001, thousands of rope access technicians representing companies of all sizes, multi-national firms and government agencies have been certified to SPRAT standards. SPRAT is gaining acceptance as a standard worldwide. In association with ARAA, this November, SPRAT assessors will be travelling to Australia from the United States in order to conduct a series of assessor workshops in New South Wales and Queensland. ARAA students (as well as students possessing certain other affiliated qualifications) will have the opportunity to attend a SPRAT theory session followed by an assessment which will allow them to become dual certified. The sessions will be undertaken at the Pinnacle Safety and Training rope access venues in each state (Murarrie QLD and Silverwater NSW). 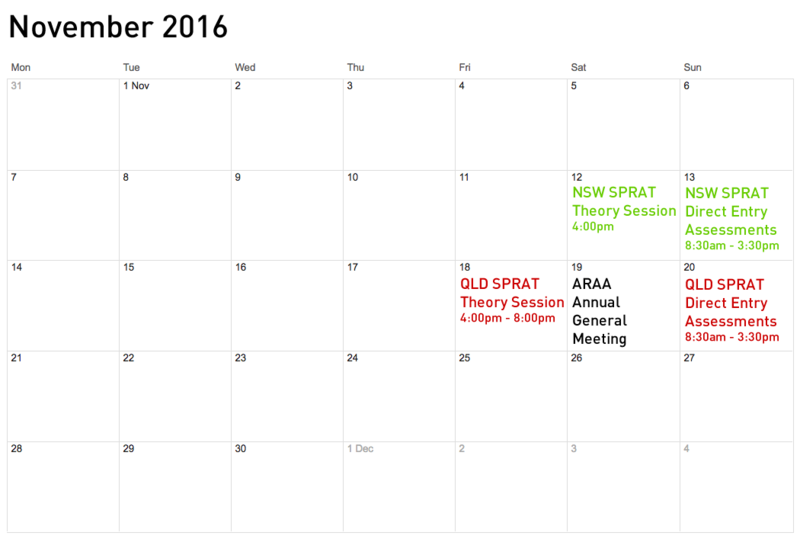 ARAA are now accepting expressions of interest from rope access technicians to attend the New South Wales and Queensland SPRAT sessions. To register your interest please fill out the following form. ARAA will review all applications and be in touch with all applicants to advise whether they have been granted a place. Please be advised that places are limited so register your interest without delay.